A new installation of 3D lenticular prints and text by Rayvenn Shaleigha D’Clark. 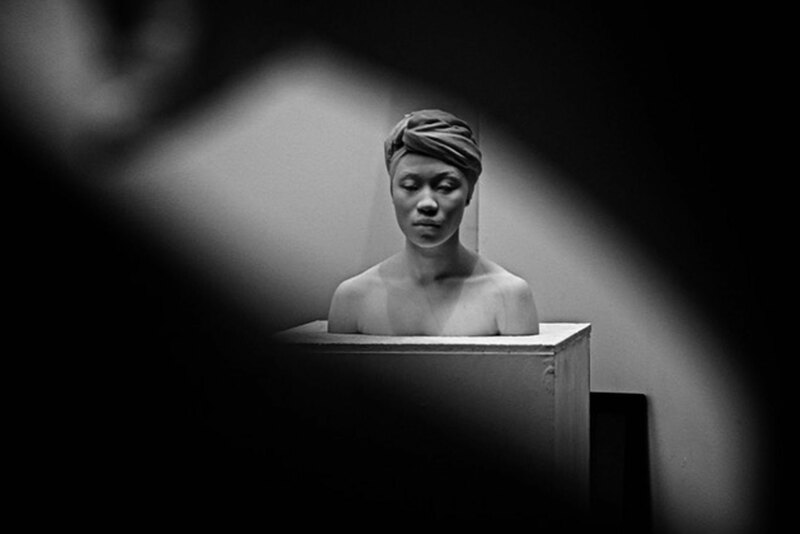 Picnic is proud to present Black + White = Grey, a brand new installation of 3D lenticular prints and text by Rayvenn Shaleigha D’Clark, exploring the shifting viewpoints of race online. When it comes to how the lives of black people are portrayed online, these fictions end up spreading at rapid pace through the online world, having real life effects on the people they depict . Rayvenn Shaleigha D’Clark’s work seeks to breaks down these biased and un-thoughtful visualisations to reveal the fractured nature of ‘truth’ in the webspace. The focal point of D’Clark’s installation at Picnic, is the image of a close friend and fellow artist – HIV/AIDS activist from Congo, Horcelie Sinda Wa Mbongo. 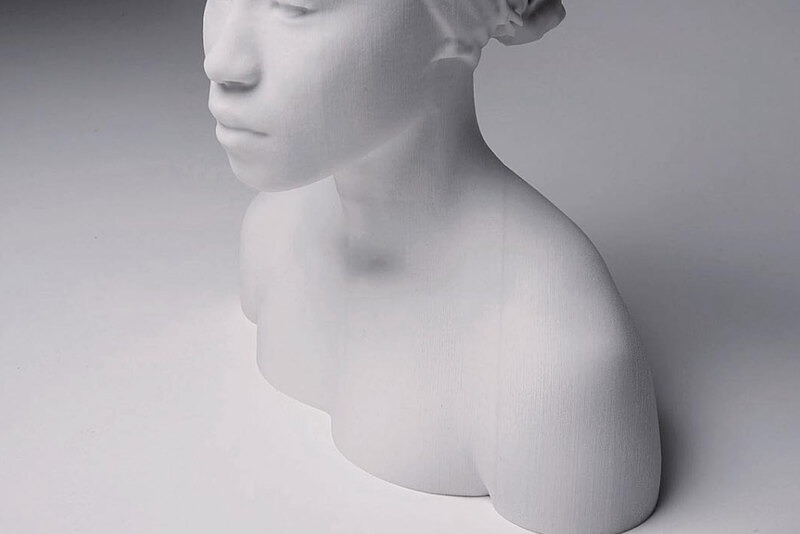 Created by using a body scan of Sinda which was 3D printed, the digital file layered into a lenticular object allows for multiple viewing points to be present within a single image. As the world of internet memes and viral images continues to grow exponentially and without accountability, the figure in the lenticular is a ‘non-object’ or more simply a ‘copy, of a copy, of a copy’; the original model feels to be far away. However, through centring the black figure as a constant from every viewpoint, D’Clark seeks to positively reframe the way people interact with and perpetuate images of black peoples.